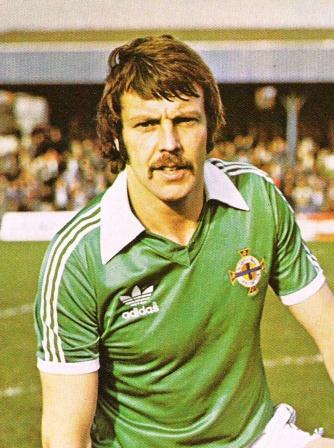 Representative Honours: Northern Ireland: 53 Full Caps (1969-1979), 1 Under-23 Cap (1969), 2 Amateur Caps (1965). Club Honours: (with Coleraine) Irish Cup Winner 1964/65; Ulster Cup Winner 1965/66; (with Ipswich) FA Cup Winner 1977/78; Texaco Cup Winner 1972/73. Awards: Ipswich Town Player of the Year 1975/76. * Ipswich European appearances included with "Others". Summary: 53/1. Won 17, Drew 11, Lost 25. Summary: 2/0. Won 0, Drew 2, Lost 0.